Born on October 10, 1773, John Cunningham Saunders was the youngest son of John Cunningham and Jane Saunders of Lovistone, in Devonshire Country. At eight years old, along with his brother, he was sent to Tavistock learning. Saunders eventually studied at the seminary at Southmolton until 1790, when he then apprenticed to the surgeon John Hill of Barnstable, for five years. He then relocated to London to complete his medical education at the distinguished schools of surgery—St. Thomas and Guy’s Hospitals, focusing his studies on anatomy. Two years later, he was appointed Demonstrator of Anatomy at St. Thomas by Sir Astley Cooper, to whom Saunders resided with for several years, and worked as an anatomical dresser in order to finish his surgical education. Saunders’ treatise, The Anatomy of the Human Ear (1804) is a testament to his mentor. Not only does Saunders acknowledge Cooper’s influence in his dedication, but he also followed the same criteria for anatomical studies that Cooper insisted were essential for the surgeon’s practice: including minute dissection of intricate parts and comparison between different cadavers to ensure the parts are similar. The book is a masterpiece full of colorful engravings detailing precise aspects of the face and its parts. It was heralded by Saunders’ contemporaries for being the first English work providing proper merits to the study of the anatomy of the ear. On October 1804, Saunders published a proposal encouraging the founding of a charitable institution for the care of diseases of the eye and ear, a proposal which came into fruition in 1805 as Saunders, along with John Richard Farre (1775-1862), established the London Dispensary for the Relief of the Poor Afflicted with Eye and Ear Disease, in Charterhouse Square (later the London Infirmary, and later on, Moorsfield Hospital). The Dispensary would eventually become a template for nineteenth-century specialist hospitals, which were largely developed by medical men and originated as outpatient dispensaries. 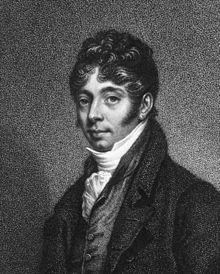 By 1809, the hospital ceased to provide treatments for the ear, a decision that probably reflected Saunders’ rising career as an ophthalmic surgeon more so than the lack of medical preference for treating ear diseases. Saunders remained at the institution until his death in 1810. Lindsay Granshaw, “’Fame and fortune by means of bricks and mortar:’ the medical profession and specialist hospitals in Britain, 1800-1948,” in Lindsay Granshaw and Roy Porter (eds), The Hospital in History (London & New York: Routledge, 1989), 199-220; 202.